Beautiful - my favourite colours. 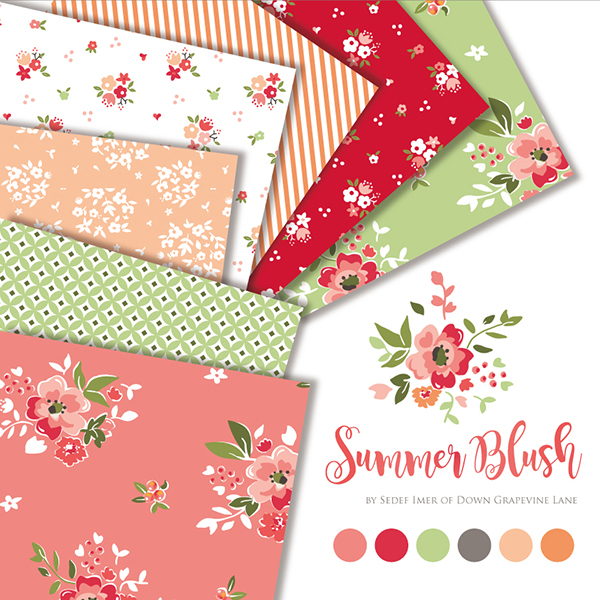 Summer Blush is lovely! I recently bought myself a bundle of your Sweet Prairie fabrics. I received a wonderful gift of $$ for fabric for Christmas! Hello Sedef, glad to learn there is a new line coming soon. I've always loved your collections. I've just finished a quilt for my daughter using some of your Sweet Prairie fabrics. I like the quality, the design and the fact that they are so versatile. They are wonderful when used as the main fabrics, yet it is easy to coordinate them with other lines. A must in my stash!